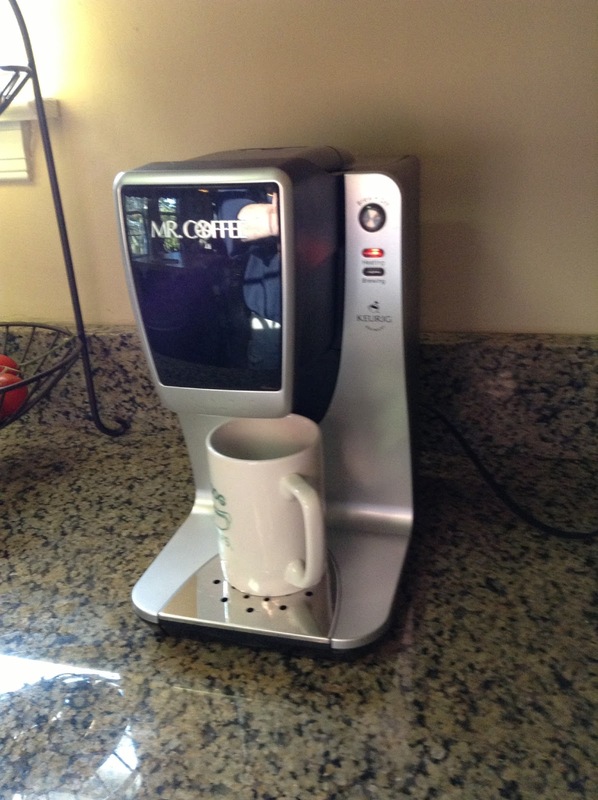 Money in the Garage: Starbucks, Keurig and Mr. Coffee at a low, low price! Right decision indeed -- enjoy them! A well deserved find for yourself. Now when find the K Cups at a bargain price please share...the K Cups can be pricey!! Coupons to Bed Bath and Beyond help, but I'm looking for a good source. jilldoubt - Thanks, I will! The k-cups are pricey! We get them through Amazon, I think it works out to be about 50 cents per k-cup. Bed Bath and Beyond with that coupon they always send out in the mail is another good one. How about Cosco? ....Dude! You can buy those refillable reusable cups and just use your favorite coffee. Spymay-Yeah, I've seen those around. I would think they work okay, right? Just have to clean them out after each use. The refillable cup or My K Cup as they are called do work fine, but yes, you do have to clean them out after each use. Kind of takes the fun out of using the machine for me, but my husband swears by them. We do have 6 of them though so I guess that helps! 50 cents a cup isn't bad and I will have to check out Amazon. Thanks!! No problem! Yes, the cleaning would kind of be a bummer. Although, I am already half-way there myself. I often stockpile the used k-cups, opening them up to collect the grounds for my vegetable garden-free fertilizer! You'd be amazed how much coffee grounds you can accumulate for a garden. The tomato plants love it....Dude! Definitely made the wrong choice in keeping it. Then again, I don't drink coffee. LOL! Nah, you gotta keep the stuff when you love it and can really use it regardless of selling price. It's not always just about the re-sale (well, 99.5% of the time, it IS). Enjoy the coffee. Meanwhile, I discovered this weekend that house sales in January not only actually do exist, but they can contain quite the number of treasures. But that's a comment for another blog. Sean - HA! I did break in the new Mr. Coffee machine this weekend and it works great! Nice to know you still have some sales to go to. Around my part of the country, it's pretty much shut down until late March. Sort of like the "off season" for a baseball player-gives me a chance to re-charge my batteries....Dude! I'm in Jersey and I too thought that there were basically no options for sales. This past weekend, I only found three nearby, but the one was a great score. Probably more lucky than anything else. However, I will most certainly be checking Craigslist every week from here on out to see if my luck continues. The thing I won't see until Spring, however, is the sale you come upon while driving from the ones of which you are aware. That type of sale won't spring back up until March at the earliest for me as well, but more likely, April/May time period. You're right, you do see a stray sale here or there. As far as the season starting up again, it depends on the weather. If it gets mild sooner, we can see them as early as late March. Last year, I remember it started to take off around mid-April. If you find a few this weekend make sure you bundle up - Ha! That's what I call a SCORE! I've bought two Keurig's at GW. Costing about $30 each. Best money I ever spent. Kept one for myself and gifted one to my daughter. Ella-I know, right? Tried it this past weekend and it worked like a charm - fun to use too! You found two Keurigs and one went to your daughter? She has a super nice mom ! Thanks for the thumbs up on the coffee maker. It's definitely a keeper....Dude!